The Province, Feb. 7, 2016. So my initial idea was to have happy inhabitants of Cloud 9 contrasted with a foreground of somber and depressed people of Cloud 8. However, it just didn’t quite pack enough punch for me. 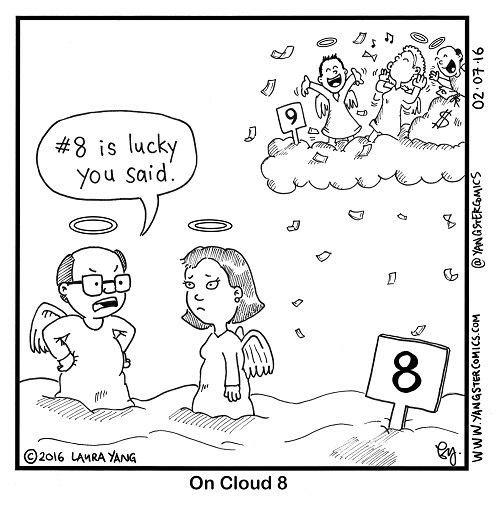 I thought about it some more and thought, “Hey, the number 8 is lucky in Chinese. Maybe I can…” and BAM!! This cartoon was born!